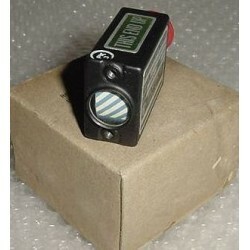 3 1/8" Flight Simulator Vertical Speed Indicator.Manufactured by The Hickok Electrical Instruments Company. P/N 580-424. Operational when removed. I believe it works on 50VDC but not certain. Very hard to come by!! 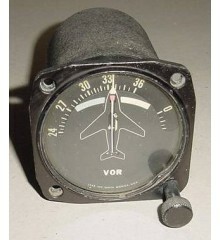 3 1/8" Flight Simulator Vertical Speed Indicator.Manufactured by The Hickok Electrical Instruments Company. P/N 580-424. Operational when removed. I believe it works on 50VDC but not certain. Very hard to come by!!.. 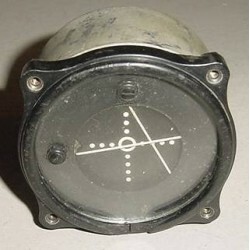 2 1/4" Berlin Airlift Fairchild C-82 Packet Flap Position Indicator. Manufactured by General Electric. Type A-4. P/N 8DJ11PKA-19. Very clean item. It shows very well and it would make an excellent show piece for the bookshelf in the office or home or just as a mock up panel item. 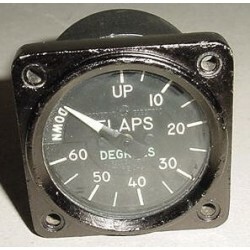 New, nos, Grumman F-11A Tiger / F11F-1 Fuel Pressure Indicator. Manufactured by Penn Keystone Corp. P/N SA-103-37. The F-11A Tiger was one of the types of aircraft flown by the Blue Angels. 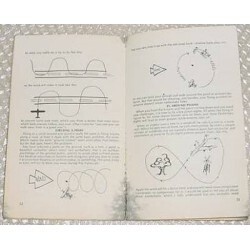 "How To Pilot An Aeroplane" Booklet by C. Douglas Taylor. It is a very humorous 100 page booklet covering all aspects of pilot training written in very unique and funny way. Published in the 1970s the booklet is average to below average condition and it would make a great end-table book. "How To Pilot An Aeroplane" Booklet by C. Douglas Taylor. It is a very humorous 100 page booklet covering all aspects of pilot training written in very unique and funny way. Published in the 1970s the booklet is average to below average condition and it would make a gre..
U.S.A.F. 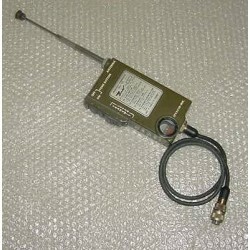 Aircrew Emergency Transceiver. Manufactured by Bendix. Model RCU-150B. Unit is tuned to 122.8 MC. It is in good condition with the exception of the speaker / mic that has gotten lost. Sold as is, no returns. U.S.A.F. 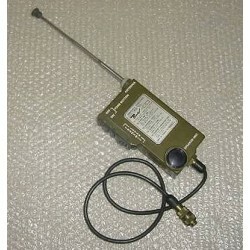 Aircrew Emergency Transceiver. Manufactured by Bendix. Model RCU-150B. Unit is tuned to 122.8 MC. It is in good condition. Excellent vintage collectible handheld. 3 1/8" Vintage Aircraft Flight Simulator Glideslope Indicator. Manufactured by Weston. Model 635. P/N T-56-Y. Very clean indicator.